Rachel's Retreat opened in April 2010, it is a purpose built beauty salon with two therapy rooms, which have been completed to a very high standard. We are situated in the quiet lanes of St Sampsons away from all the hustle and bustle. Rachel's Retreat achieved Platinum status in 2011, 2012 and again in 2013, this is the highest award given by Thalgo face and body skin care brand. 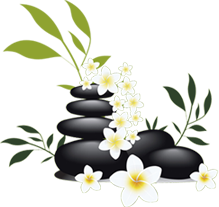 At Rachel's Retreat we offer treatments of the highest standard, our passion and professionalism is apparent from the time you arrive. Rachel and her dedicated team are here to make you feel welcome, pampered and relaxed. Come and step into a cocoon of well being and experience the world of marine beauty.